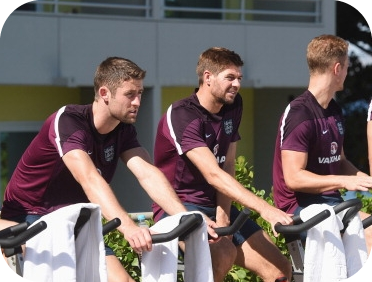 The England Squad have arrived safely in Rio de Janeiro. Check out Adam Lallana and team mates getting off the plane in their St George’s cross edition of the Original Super Fit. The team are preparing for their first match against Italy on Saturday at the Manaus Amaziona Arena. The support staff have done everything in their power to ensure the players have an active recovery from the journey and to help them acclimatise to the heat and humidity. Upon arrival, players were put on static bikes before being sent for a swim in the pool. If you’re lucky enough to be making the journey across for the World Cup don’t forget to get yourself fitted for a pair of quality compression socks before your flight to keep you safe and stop you arriving with tree trunks for legs and cankles! For more information, or travel advice as you plan your journey, contact info@compressionadvisory.com.